Bu sayfada Koç Üniversitesi GSHS araştırmacılarının öne çıkmış yayınlarının bir özeti verilmektedir. Bu makalelerin tam metnine erişmek için ilgili dergiye abone olmanız gerekebileceğini lütfen unutmayın. A potential non-invasive glioblastoma treatment: Nose-to-brain delivery of farnesylthiosalicylic acid incorporated hybrid nanoparticles. Sekerdag E, Lüle S, Bozdağ Pehlivan S, Öztürk N, Kara A, Kaffashi A, Vural I, Işıkay I, Yavuz B, Oguz KK, Söylemezoğlu F, Gürsoy-Özdemir Y, Mut M.
J Control Release. 2017 Sep 10;261:187-198. doi: 10.1016/j.jconrel.2017.06.032. Epub 2017 Jul 3. KDM2B, an H3K36-specific demethylase, regulates apoptotic response of GBM cells to TRAIL. Kurt IC, Sur I, Kaya E, Cingoz A, Kazancioglu S, Kahya Z, Toparlak OD, Senbabaoglu F, Kaya Z, Ozyerli E, Karahüseyinoglu S, Lack NA, Gümüs ZH, Onder TT, Bagci-Onder T.
Cell Death Dis. 2017 Jun 29;8(6):e2897. doi: 10.1038/cddis.2017.288. Generation of integration-free induced pluripotent stem cells from a patient with Familial Mediterranean Fever (FMF). Fidan K, Kavaklıoğlu G, Ebrahimi A, Özlü C, Ay NZ, Ruacan A, Gül A, Önder TT. Stem Cell Res. 2015 Nov;15(3):694-6. doi: 10.1016/j.scr.2015.10.018. Epub 2015 Nov 2. Cytokine response in crimean-congo hemorrhagic fever virus infection. Ergönül Ö, Şeref C, Eren Ş, Çelikbaş A, Baykam N, Dokuzoğuz B, Gönen M, Can F.
J Med Virol. 2017 Oct;89(10):1707-1713. doi: 10.1002/jmv.24864. Epub 2017 Jul 6. Yiğit B, Boyle M, Özler O, Erden N, Tutucu F, Hardy T, Bergmann C, Distler JHW, Adalı G, Dayangaç M, Mann DA, Zeybel M, Mann J. Gut. 2018 Jan 20. pii: gutjnl-2017-315668. doi: 10.1136/gutjnl-2017-315668. [Epub ahead of print] No abstract available. Acar Ö, Özkurt E, Demir G, Saraç H, Alkan C, Esen T, Somel M, Lack NA. BMC Cancer. 2015 Nov 9;15:871. doi: 10.1186/s12885-015-1859-8. EEG-like signals can be synthesized from surface representations of single motor units of facial muscles. Yilmaz G, Ungan P, Türker KS. Comparing glutamatergic neuron population in the mediodorsal thalamic nucleus of genetic absence epilepsy rats from strasbourg (GAERS) and normal control Wistar rats. Çavdar S, Özgür M, Kirazlı Ö, Karahüseyinoğlu S, Onat F.
J Chem Neuroanat. 2016 Nov;77:93-99. doi: 10.1016/j.jchemneu.2016.05.009. Epub 2016 Jun 1. Sphingosine-1-phosphate protects human ovarian follicles from apoptosis in vitro. Guzel Y, Bildik G, Oktem O.
Eur J Obstet Gynecol Reprod Biol. 2018 Mar;222:19-24. doi: 10.1016/j.ejogrb.2018.01.001. Epub 2018 Jan 6. FSH Stimulation promotes progesterone synthesis and output from human granulosa cells without luteinization. Oktem O, Akin N, Bildik G, Yakin K, Alper E, Balaban B, Urman B.
Hum Reprod. 2017 Mar 1;32(3):643-652. doi: 10.1093/humrep/dex010. The magnitude of gonadotoxicity of chemotherapy drugs on ovarian follicles and granulosa cells varies depending upon the category of the drugs and the type of granulosa cells. Yuksel A, Bildik G, Senbabaoglu F, Akin N, Arvas M, Unal F, Kilic Y, Karanfil I, Eryılmaz B, Yilmaz P, Ozkanbaş C, Taskiran C, Aksoy S, Guzel Y, Balaban B, Ince U, Iwase A, Urman B, Oktem O.
Hum Reprod. 2015 Dec;30(12):2926-35. doi: 10.1093/humrep/dev256. Epub 2015 Oct 13. GnRH agonist leuprolide acetate does not confer any protection against ovarian damage induced by chemotherapy and radiation in vitro. Bildik G, Akin N, Senbabaoglu F, Sahin GN, Karahuseyinoglu S, Ince U, Taskiran C, Selek U, Yakin K, Guzel Y, Ayhan C, Alper E, Cetiner M, Balaban B, Mandel NM, Esen T, Iwase A, Urman B, Oktem O.
Hum Reprod. 2015 Dec;30(12):2912-25. doi: 10.1093/humrep/dev257. Epub 2015 Oct 13. Aksoy S, Yakin K, Seyhan A, Oktem O, Alatas C, Ata B, Urman B.
Hum Fertil (Camb). 2016 Jun;19(2):97-101. doi: 10.3109/14647273.2016.1158873. Epub 2016 Mar 17. Gelatin Methacryloyl Hydrogels in the Absence of a Crosslinker as 3D Glioblastoma Multiforme (GBM)-Mimetic Microenvironment. Erkoc P, Seker F, Bagci-Onder T, Kizilel S.
A platinum blue complex exerts its cytotoxic activity via DNA damage and induces apoptosis in cancer cells. Adiguzel Z, Ozalp-Yaman S, Celik G, Salem S, Bagci-Onder T, Senbabaoglu F, Cetin Y, Acilan C.
Identification of Mitoxantrone as a TRAIL-sensitizing agent for Glioblastoma Multiforme. Senbabaoglu F, Cingoz A, Kaya E, Kazancioglu S, Lack NA, Acilan C, Bagci-Onder T.
Cancer Biol Ther. 2016 May 3;17(5):546-57. doi: 10.1080/15384047.2016.1167292. Epub 2016 Mar 30. An exploration of plastic deformation dependence of cell viability and adhesion in metallic implant materials. Uzer B, Toker SM, Cingoz A, Bagci-Onder T, Gerstein G, Maier HJ, Canadinc D.
J Mech Behav Biomed Mater. 2016 Jul;60:177-186. doi: 10.1016/j.jmbbm.2016.01.001. Epub 2016 Jan 11. Transgene-Free Disease-Specific iPSC Generation from Fibroblasts and Peripheral Blood Mononuclear Cells. Fidan K, Ebrahimi A, Çağlayan ÖH, Özçimen B, Önder TT. Methods Mol Biol. 2016;1353:215-31. doi: 10.1007/7651_2015_278. u JY, Verstappen G, Coyne M, Zhang X, Durham T, Miri M, Deshpande V, De Jager PL, Bennett DA, Houmard JA, Muoio DM, Onder TT, Camahort R, Cowan CA, Meissner A, Epstein CB, Shoresh N, Bernstein BE. Cell. 2013 Jan 31;152(3):642-54. doi: 10.1016/j.cell.2012.12.033. Epub 2013 Jan 17. Unternaehrer JJ, Zhao R, Kim K, Cesana M, Powers JT, Ratanasirintrawoot S, Onder T, Shibue T, Weinberg RA, Daley GQ. Posture modulates the sensitivity of the H-reflex. Cecen S, Niazi IK, Nedergaard RW, Cade A, Allen K, Holt K, Haavik H, Türker KS. Exp Brain Res. 2018 Mar;236(3):829-835. doi: 10.1007/s00221-018-5182-x. Epub 2018 Jan 18. Reevaluation of reflex responses of the human masseter muscle to electrical lip stimulation. Uginčius P, Yilmaz G, Sebik O, Türker KS. J Neurophysiol. 2017 Aug 1;118(2):1082-1091. doi: 10.1152/jn.00064.2017. Epub 2017 May 24. Vibration parameters affecting vibration-induced reflex muscle activity. Cidem M, Karacan I, Cakar HI, Cidem M, Sebik O, Yilmaz G, Turker KS, Karamehmetoglu SS. Somatosens Mot Res. 2017 Mar;34(1):47-51. doi: 10.1080/08990220.2017.1281115. Epub 2017 Feb 2. Tendon reflex is suppressed during whole-body vibration. Karacan I, Cidem M, Yilmaz G, Sebik O, Cakar HI, Türker KS. J Electromyogr Kinesiol. 2016 Oct;30:191-5. doi: 10.1016/j.jelekin.2016.07.008. Epub 2016 Jul 25. A new method to determine reflex latency induced by high rate stimulation of the nervous system. Karacan I, Cakar HI, Sebik O, Yilmaz G, Cidem M, Kara S, Türker KS. Front Hum Neurosci. 2014 Jul 18;8:536. doi: 10.3389/fnhum.2014.00536. eCollection 2014. Cakar HI, Cidem M, Sebik O, Yilmaz G, Karamehmetoglu SS, Kara S, Karacan I, Türker KS. J Phys Ther Sci. 2015 Jul;27(7):2279-84. doi: 10.1589/jpts.27.2279. Epub 2015 Jul 22. Interference of tonic muscle activity on the EEG: a single motor unit study. Yilmaz G, Ungan P, Sebik O, Uginčius P, Türker KS. Front Hum Neurosci. 2014 Jul 11;8:504. doi: 10.3389/fnhum.2014.00504. eCollection 2014. Impact of the ST101 clone on fatality among patients with colistin-resistant Klebsiella pneumoniae infection. Can F, Menekse S, Ispir P, Atac N, Albayrak O, Demir T, Karaaslan DC, Karahan SN, Kapmaz M, Kurt Azap O, Timurkaynak F, Simsek Yavuz S, Basaran S, Yoruk F, Azap A, Koculu S, Benzonana N, Lack NA, Gönen M, Ergonul O. 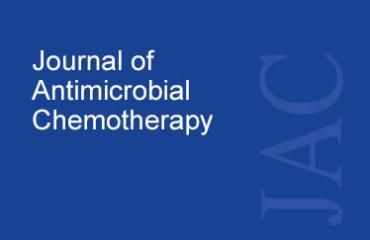 The clinical impact of ST131 H30-Rx subclone in urinary tract infections due to multidrug-resistant Escherichia coli. Can F, Kurt-Azap Ö, İspir P, Nurtop E, Seref C, Loçlar İ, Aktaş ON, Orhan YC, Ergonul O.
J Glob Antimicrob Resist. 2016 Mar;4:49-52. doi: 10.1016/j.jgar.2015.10.006. Epub 2015 Nov 14. Molecular Epidemiology of Bloodstream Associated E. coli ST131 H30-Rx Subclone Infection in a Region with High Quinolone Resistance. Can F, Kurt-Azap O, Nurtop E, Ispir P, Seref C, Ergonul O. Emerging Escherichia coli O25b/ST131 clone predicts treatment failure in urinary tract infections. Can F, Azap OK, Seref C, Ispir P, Arslan H, Ergonul O. Spreading Depolarization Waves in Neurological Diseases: A Short Review about its Pathophysiology and Clinical Relevance. Taş YÇ, Solaroğlu İ, Gürsoy-Özdemir Y.
Yapıcı-Eser H, Onay A, Öztop-Çakmak Ö, Egemen E, Vanlı-Yavuz EN, Solaroğlu İ.
BMJ Case Rep. 2016 Dec 15;2016. pii: bcr2016216505. doi: 10.1136/bcr-2016-216505. Menstrual cycle characteristics of young females with occult primary ovarian insufficiency at initial diagnosis and one-year follow-up with serum amh level and antral follicle count. Guzel Y, Aba YA, Yakin K, Oktem O.
PLoS One. 2017 Nov 27;12(11):e0188334. doi: 10.1371/journal.pone.0188334. eCollection 2017. Cytotoxicity and mitogenicity assays with real-time and label-free monitoring of human granulosa cells with an impedance-based signal processing technology intergrating micro-electronics and cell biology. Oktem O, Bildik G, Senbabaoglu F, Lack NA, Akin N, Yakar F, Urman D, Guzel Y, Balaban B, Iwase A, Urman B.
Reprod Toxicol. 2016 Apr;60:82-91. doi: 10.1016/j.reprotox.2015.12.005. Epub 2015 Dec 30.